Today, more than 11 billion connected devices are producing eight zettabytes of data per year. The data only grows with billions of phones, sensors, payment systems, and other Internet of Things (IoT) devices added every day. By 2025, forecasts call for 80 billion devices producing a staggering 180 zettabytes of data. The industry leaders like Amazon, Google, American Express, Ford, and Capital One were early adopters and have used data and analytics to gain a competitive advantage. Failure to have a strong data and analytics program means that your competition will have a better understanding of their customers, more effective employees, and higher rates of new customer acquisition, retention, and loyalty. 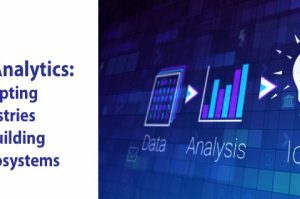 Below are three data analytics trends and recommendations that provide insight into how you and your organization can use data to accelerate innovation, to compete on analytics, and to determine where and how data can create value for your organization. Industry studies show that over 60% (up from 12% in 2012) of large enterprises currently have a Chief Data Officer or Chief Analytics Officer with growth expected to exceed 80% by 2019. One thing is clear: data and analytics cannot be the sole province of any one department. Successful CDOs are partnering with other C-level executives in marketing, sales, service, finance, and information systems to determine and achieve their business strategies. Business leaders must be in charge of data and analytics efforts because they know best what data is needed to address business opportunities and threats. Those companies that develop a business-driven Data and Analytics strategy with a clear linkage to business direction and business capabilities will be able to stay ahead of the market by proactively competing on analytics. Industry studies show that 85% of big data and analytics projects fail. Often the reasons for failure are related to people and process issues. Few executives understand the potential impact of data across their business units and functions. Without clear guidance in their strategy, many companies end up with data and analytics initiatives that fail to deliver measurable ROI and business value. Companies need to focus on where and how data can create value using data and analytics with measurable ROI and a comprehensive roadmap. Start your data and analytics initiatives by determining where the most promising sources of value exist to improve business capabilities and business outcomes. Business leaders must then clearly define a comprehensive data and analytics roadmap to achieve the results desired. 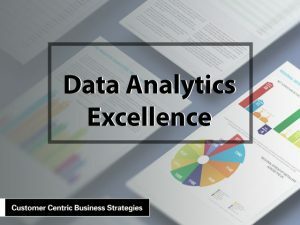 Successful data and analytics programs include a focus on organizational transformation, business process enhancements, quick wins for departments to see the value, and data management fundamentals complemented by advanced analytics. Have business leaders in charge of data and analytics efforts. Develop a business-driven data and analytics strategy with a clear linkage to business direction and business capabilities. Focus on where and how data can create value using data and analytics with measurable ROI and a comprehensive roadmap. These trends are reshaping industries and the competitive landscape. If your goal is to thrive in today’s digital deluge, now is the time to make data analytics part of your company’s core business strategy. 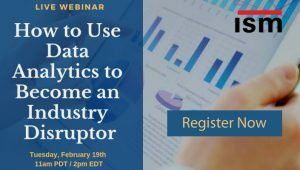 On Tuesday, February 19th, 2019 at 11am PDT / 2pm EDT, you are invited to attend this LIVE webinar, “How to Use Data Analytics to Become an Industry Disruptor” where Mike Bender, Sr. Vice President at ISM, will explain why organizations are increasingly turning to data and analytics to drive long-term customer engagement, loyalty and advocacy through better data management, customer segmentation, and predictive analytics. Mike will be joined by David Popkin, Director of Data Strategy at LiveRamp to use real-world case studies to demonstrate the powerful benefits of using data & analytics to know your customer. Call us to discover how ISM can help you with your Data Analytics Programs, 301-656-8448. 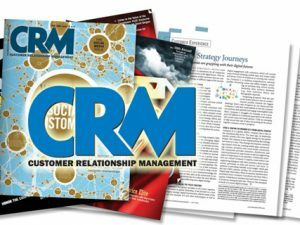 For more than 30 years, ISM has worked closely with world-class B2B and B2C companies like Deutsche Bank, Jaguar Land Rover, Zumba Fitness, Chase Manhattan, Pacific Life and others on Data Analytics and customer intelligence projects. We would enjoy the opportunity to work with your organization to create and/or deliver data analytics excellence.